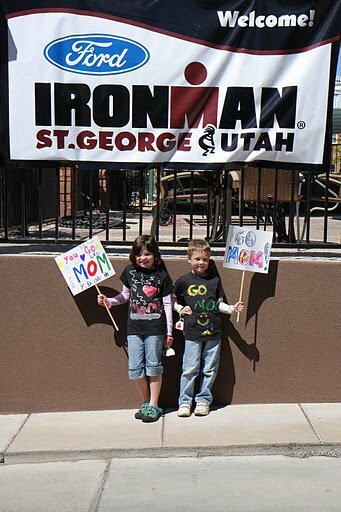 DRA Students Meet an "Ironman"
Ironman Triathlon officials announced that St. George would be the newest destination for one of their premiere triathlon competitions. 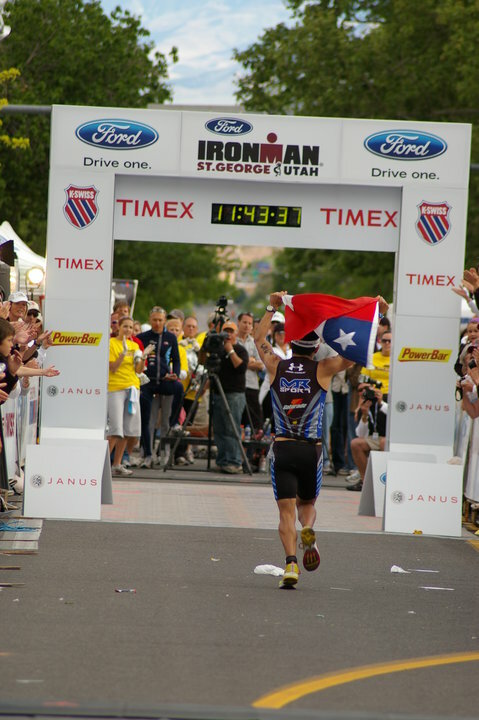 Just two-thousand five hundred athletes will be allowed to compete in this race which will be just one of seven Ironman full-distance triathlon races in the United States. 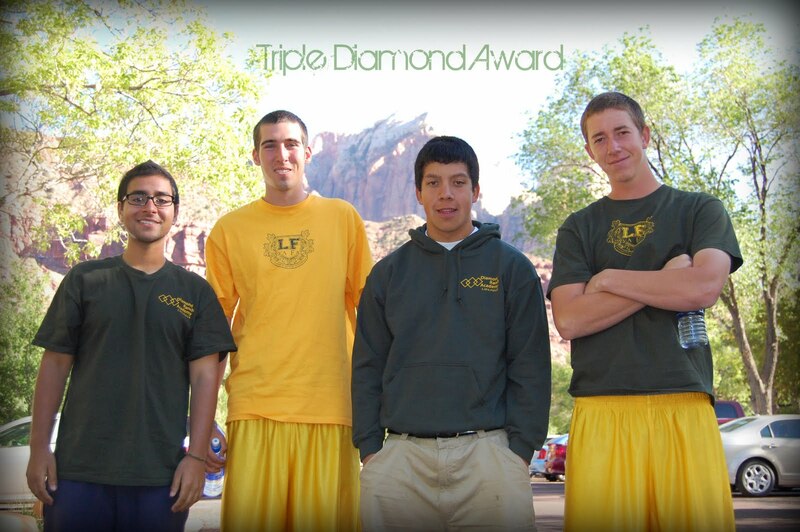 Saturday, May 1st, 2010 marked the first time such an event has ever been hosted in St. George, Utah. 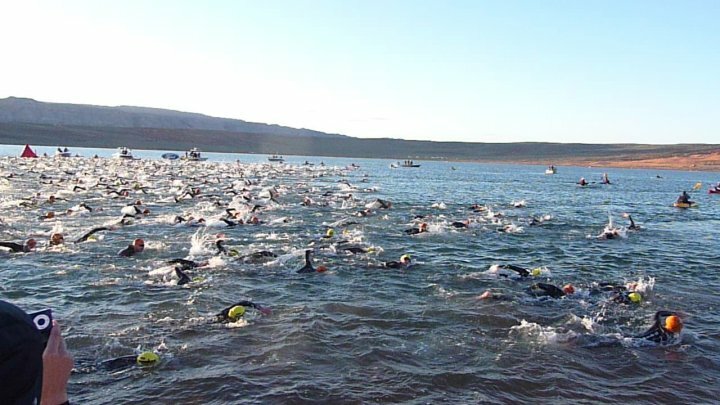 Male and female athletes from around the world, began the event by swimming a 2.4 mile distance in the cool waters of Sand Hollow Reservoir. Insulated with wet suits the cool waters were handled quite well by most swimmers. Then comes a 112 mile road cycling course. This stage of the race follows roads through the cities of Washington County. 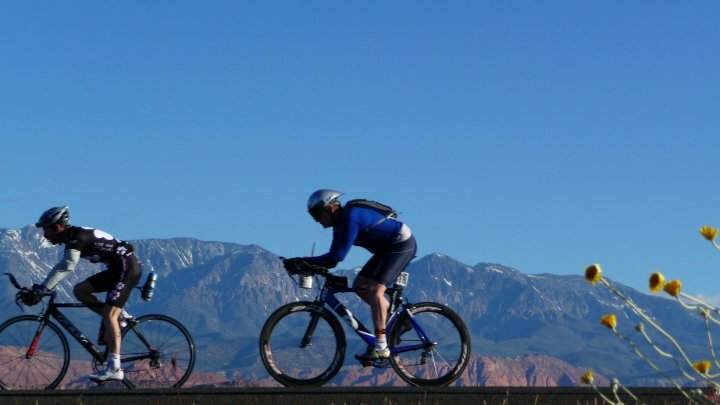 Cyclists pedaled a large double loop around Snow Canyon State Park. 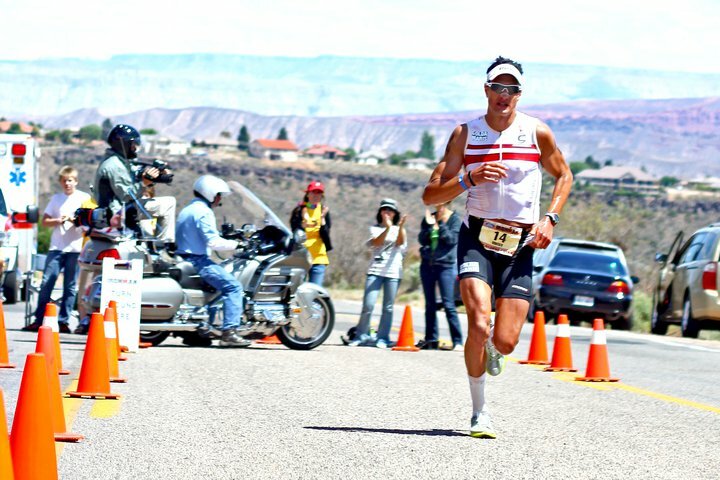 The final stage, a 26 mile marathon, traveled a course from downtown St. George along the gorgeous red rock formations that line the northern skyline of the city. Mental Strength is just as important as physical strength. Plan ahead but don't get overwhelmed by the big picture. Take large challenges one day at a time. Overcoming challenges becomes easier when you know you have teammates who are counting on you AND you know that they are there for you. What a great presentation...Thanks for your great words of advice! !